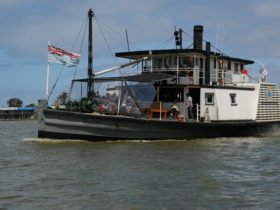 Enjoy the Captain’s commentary on the Aboriginal and European history, ecology and birdlife of the area. 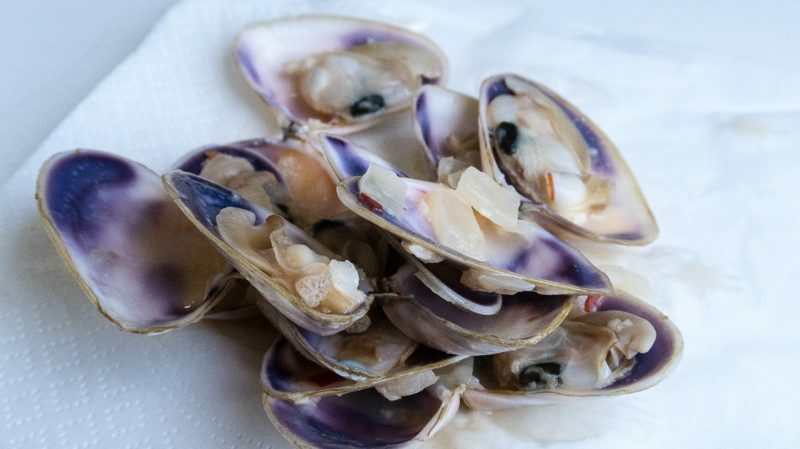 Guided walk(s), a delicious lunch, and afternoon tea are included. 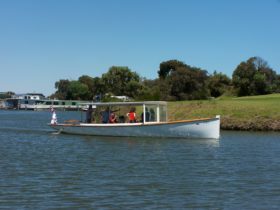 Depart from the main wharf in the old riverport town of Goolwa and cruise along the shore to the Goolwa barrage where we pass through the Lock. Lunch is served cruising to the Murray River Mouth and into the Coorong National Park where we stop for a guided walk across the peninsula, through dune vegetation to 90 Mile Beach. Learn about the abundant flora and fauna found here and how the Aboriginal people lived in the area. Visit and explore the area where Storm Boy was based and filmed. Afternoon tea is served cruising back past wetland birdlife and spectacular sand dunes, across the Murray Mouth and through the barrage back to Goolwa. 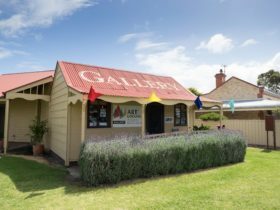 Depart from the main wharf in the old riverport town of Goolwa and cruise along the shore to the Goolwa Barrage where we pass through the Lock. 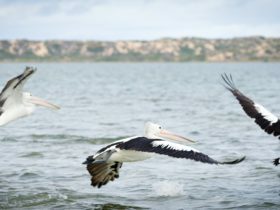 Cruise along the last stretch of the Murray River to the river mouth and across into the Coorong National Park. Stop for a guided walk across the peninsula, through dune vegetation to 90 Mile Beach. 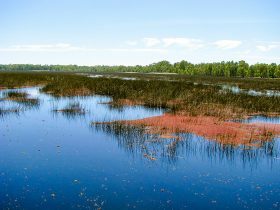 Learn about the abundant flora and fauna found here and how the Aboriginal people lived in the area. 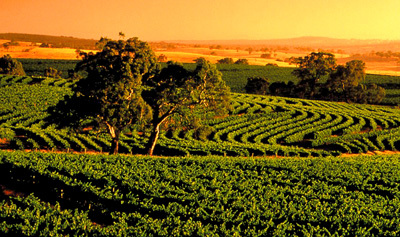 See the countryside where the iconic Storm Boy films were made, visit Storm Boy inspired country. 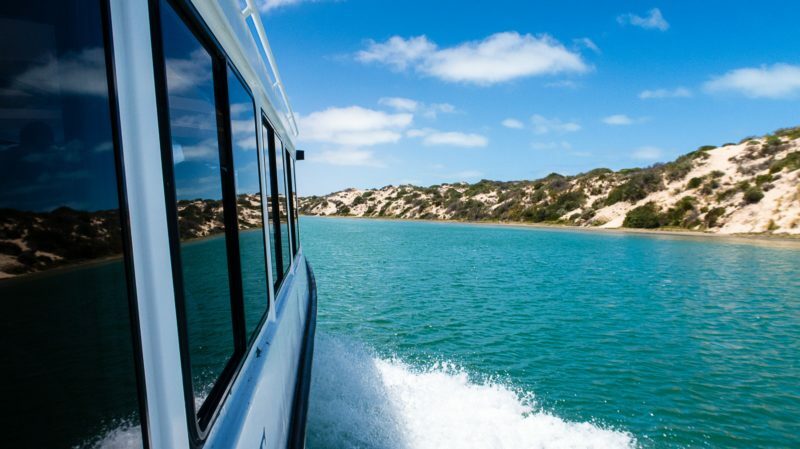 Enjoy lunch on board while cruising further into the Coorong past spectacular white sand dunes and abundant native and migratory wetland bird life before mooring amongst the sand dunes at beautiful Cattle Point. Take another guided walk to find water and visit an old Aboriginal midden site. Afternoon tea is served cruising along the Coorong, across past more wetland birdlife and spectacular sand dunes, across the Murray Mouth and through the Lock back to Goolwa. Visit and explore the area where Storm Boy was based and filmed. 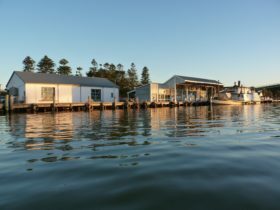 Depart Goolwa main wharf and cruise downstream through the lock in the Goolwa Barrage and down the last stretch of the Murray River. 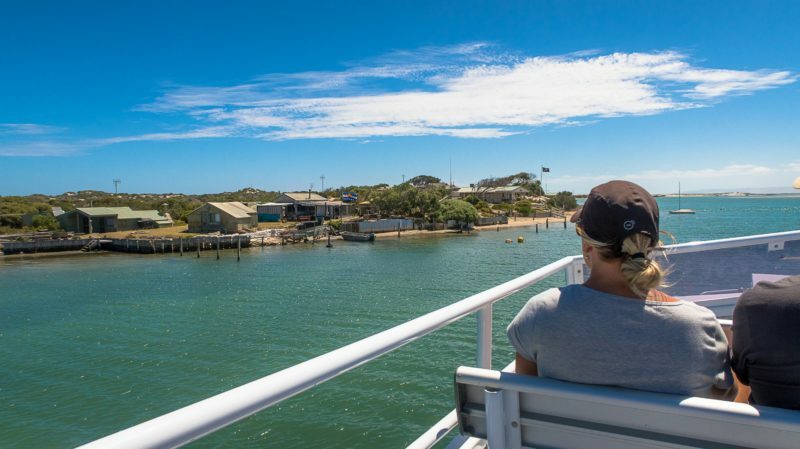 Cruise back past sand-dunes supporting native vegetation and past abundant wetland birdlife, through the Lock again and back to Goolwa. Visit the Coorong seal colony and feel the Storm Boy inspired region. Operates: Saturdays at 10:30 am October to May inclusive. Operates SA School Holidays October to May Inclusive.